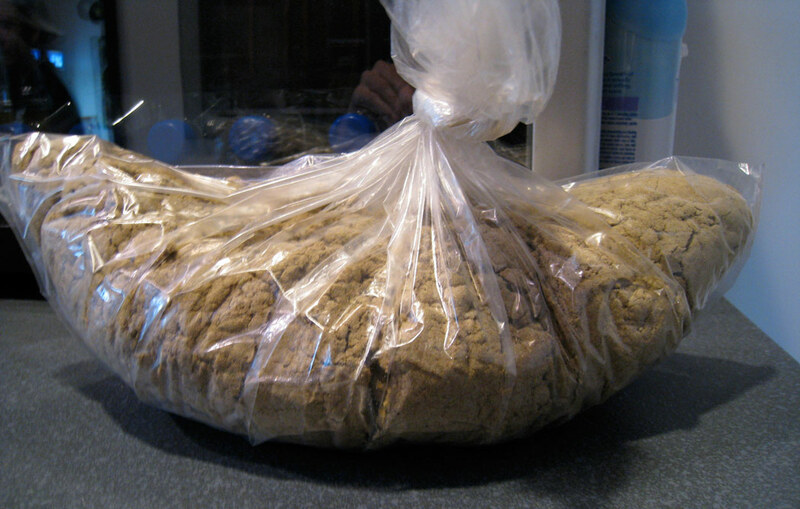 Ever wonder what a full pound of kief looks like? Well, feast your eyes on this beauty, provided to us by @kobej420. No, that’s not a bag of cookie dough, man. What’s KIEF, you ask? Well, he’s 1/2 of the glimmer twins…the geetar player of the Rolling Stones, Captain Jack Sparrow’s pop…actually we’re kidding. We’re gonna take the easy way out because all this keef talk has got us all wantin’ to smoke up some keef. So we’ll just…cut and paste the wikipedia definition of one of the world’s greatest treasures: Kief or keef, sometimes kif (from Arabic: كيف kayf, meaning well-being or pleasure) refers to the resin glands (or trichomes) of cannabis which may accumulate in containers or be sifted from loose dry cannabis buds with a mesh screen or sieve. Kief contains a much higher concentration of desired psychoactive cannabinoids, such as THC, than other preparations of cannabis buds from which it is derived. Traditionally kief has been pressed and baked into cakes (mmm…cake) as hashish for convenience in storage and shipping, but can be vaporized or smoked in its powder form. We smoke weed eryday and we receive tons of weed pics eryday too. So we figured instead of just retweeting ’em, we’d also collect ‘em and display ‘em here for everyone to enjoy over and over again. Have some weed pics you wanna share? Tweet ‘em to us, man. Keep hate’n its like taking poison waiting for them to die,but you’re too stupid to know,you’re the idiot thats consuming the poison called hate, hope you meet your creator soon,Satan.